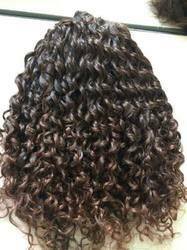 Offering you a complete choice of products which include peruvian wavy curly hair, 100% top quality bulk hair, long size wavy hair, single donar hair, south indian natural curly hair and natural wave human hair. 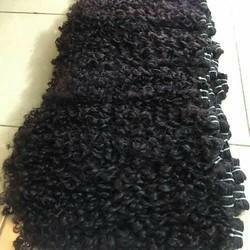 We are counted as one of the leading manufacturer and suppliers of the premium quality of Wavy Curly. Used in fashion shows and movies, the rendered double drawn extension is known for its smooth texture. As a quality focused name, we assure that the quality of double drawn extension is never compromised at our end. Our bulk top quality comes directly from temple, and you will find shine and naturality quality. Wavy hair with great quality and strong roots. There is an idea when you see picture you 90 % can feel the quality, check our pictures with best quality. Great soft hair with slight waves. It is tight with weft and waves is dreamy. 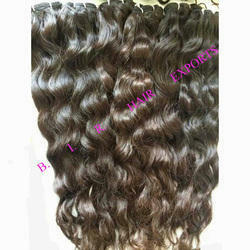 BIR HAIR EXPORTS is operating as a reputed manufacturer, supplier and exporter. 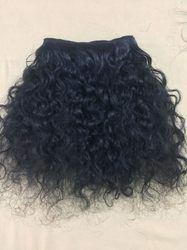 Lose Virgin Hair Bundle is offered at best market price. 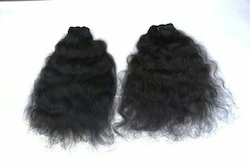 Machine weft will be of 102-105 grams. No tangle and No Shedding.